If you’re wondering what our favorite Dolphin is up to you should check out the menu going through Fat Tuesday at Victory Grille. 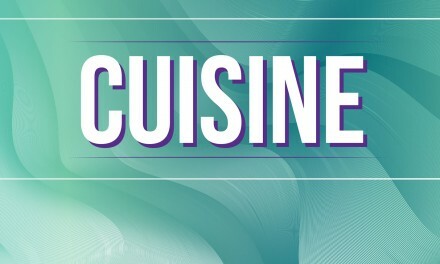 Red beans and rice with Conecuh, Alabama shrimp etouffee with Gulf shrimp, Gooey Fries with Creole seasoning, Ragin’ Cajun wings, Mobile Bay Gator Bites and a fish filet from Bon Secour augment the already-popular menu. The Mardi Gras Mania menu is for lunch and dinner, and guests will receive a set of beads and complimentary King Cake and Red Diamond coffee with certain menu items. Let the good times roll! Be on the lookout for Tin-tin’s Rock and Roll Food Truck on either side of the tunnel. I first tasted them at Fairhope Brewing Co., where they regularly find a spot in the parking lot, but recently they’ve been serving up their eclectic menu at Serda’s Brewing Co. My guess is they like to follow the beer! Where else can you get a gyro plate, lumpia, shrimp tacos, fried rice, pancit, hamburgers or lo mein with your fries and po’boy? I am a fan of the shish kebab. Your best bet is to look for them on Facebook to get your taste buds rocked to the max. This is the hottest truck out there at the moment. If you’ve ever been to the Lighthouse Bakery on Dauphin Island, then you’ve seen owner Mary Scarcliff rolling out the treats with a smile on her face. Now, in the fight of her life, the always-pleasant Scarcliff is battling stage-four cancer. Daughter Christa Roberson has taken over the family business and is doing a wonderful job filling her mother’s shoes. For years I have said the best King Cake I ever ate came from within these walls, and there’s no reason to think anything is different. They even have smaller-sized King Cakes for single servings and you won’t have to guess who gets the baby! Visit 919 Chaumont Ave., Dauphin Island, or call 251-861-2253 to place an order or to show your love to one of the nicest families in Mobile County. Check for updates on social media. Closed Monday and Tuesday, hours are from 6 a.m. until 3 p.m. Wednesday through Friday, Saturday until 4 p.m. and Sunday from 9 a.m. until 3 p.m.